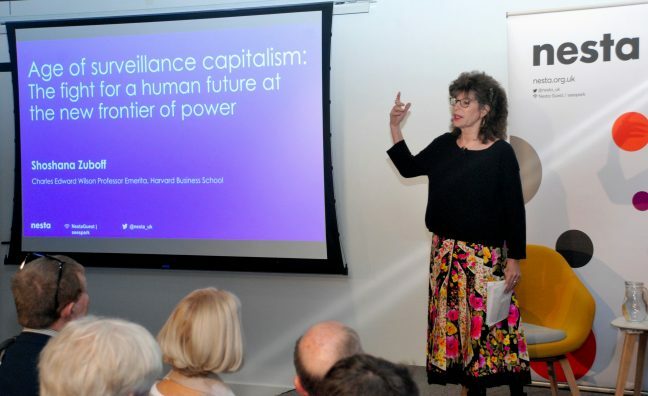 Surveillance Capitalism is a name for the process through which the likes of Google and Facebook use their knowledge of our personal experiences as a free source of raw material. Without asking us, they convert it to behavioural data, combine it with their vast proprietary capabilities in machine learning and AI, and out of that come predictive patterns on what we are going to do and how we are going to behave under given circumstances. They sell this predicitve information in to a new kind of marketplace that trades exclusively on future predictions of our behaviour. 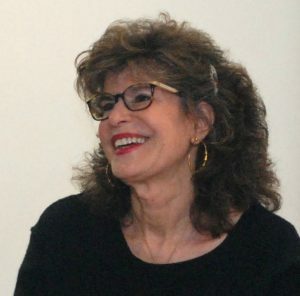 The author and Harvard Business School professor Shoshana Zuboff was labelled “the true prophet of the information age” by the Financial Times for her groundbreaking book, “In the Age of the Smart Machine,” a seminal work on the social, economic, and emotional consequences of computer technology published back in 1988. She is currently on an international tour to promote her latest book that took her seven years to write called “The Age of Surveillance Capitalism: the fight for a human future at the new frontier of power.” It’s a warning against unfettered manipulation and use of data we all freely, albeit sometimes unwittingly provide, and I was fortunate to catch up with her on her book tour in London. Surveillance Capital was pioneered by Google in 2001, a time when the dotcom bubble had burst and they were under money pressures, as a way to use what they termed “digital exhaust” – their leftover data after helping advertisers to get us to click through on their online advertising. After 2001 advertisers no longer chose, they were told where their advertising would appear, scheduled by a “magic, black box of tricks.” And the advertisers must have found it was working. From 2001 to 2004 when Google went public through its IPO, their net advertising revenue grew by a staggering 3,590% (it’s on page 87 of Zuboff‘s book). Off the back of it, future “click behaviour” has become a predictor of all behaviour. Our private and personal behaviour has been brought in to a marketplace where it is bought and sold over and over again, and we have no idea who has it or what they are doing with it. It’s a model that was increasingly copied by tech startups as a way to speed up and maximise monetisation, and virtually everyone is doing it. Think of all your online purchases, it’s all data about you that’s packaged up and sold. And major players in other industries want to get a share of this market as well. In 2015, Ford CEO Mark Fields started speaking about how the company was thinking beyond making vehicles to being more of a transportation analytics company. They had data on 100 million Ford vehicle users around the world – where they went, what they ate, what they watched, and so much more. He wanted to combine this with financial data from Ford Credit and start to match the price/earnings ratios of Google and Facebook. Many of us have been dismayed and somewhat shocked, perhaps too naively, by revelations that identifying groups of key people and influencing their decisions through feeding them selected information – which may not be true – has impacted disproportionately on major political decisions. I’m particularly thinking of President Trump’s election and the UK referendum decision to leave the EU. A major theme of the best seller Homo Deus is that democracy is based on the free will of people to make up their own minds and vote accordingly, but what if that “free will” is corrupted by access to only a limited amount of the news, or even fake news? But what can we do? Boycotting search engines, all social media and anything else that captures personal behavioural data in an age of digital mass connectivity isn’t a viable option if we’re going to remain part of our communities. In February 2019 the German Chancellor Angela Merkel closed her Facebook account, though still uses Instagram. And the siren calls of the Internet of Things are beckoning us to go further, deeper. Google has launched Nest Thermostats. Home temperatures can be controlled via smartphone to improve efficiency and comfort and reduce bills. It sounds good. The thermostats can also be used as a hub to connect to all other IoT devices in the home. However, all the behavioural data picked up from every device is sent to a myriad of third parties, who sell it on to even more. Zuboff reckons anyone would need to check up to a thousand privacy contracts to know what’s happening to the data the thermostat users provide for free. I’ll mention another new book, “Zucked: Waking Up to the Facebook Catastrophe” by Roger McNamee who has been a Silicon Valley investor for 35 years. A piece adapted from the book appeared recently in Time Magazine. Monopolistic dominance of the tech markets by Facebook, Amazon and Google has enabled them to build no-go zones around their core operations, he says, by simply buying up any competitors before they can have an impact on their bottom lines. He suggests government protection and even subsidies for tech startups, limits on the markets in which these Big Three are allowed to operate, and that individuals should be allowed to own their own data and decide for themselves who’ else is allowed to use it. Will any of that happen? There was a public movement against the worst capitalist excesses of the Industrial Revolution, with the formation of trade unions and the development of workers’ rights that became enshrined in law. The time has come, believes Zuboff, for a similar response by people who share privacy, political and psychological interests regarding the negative aspects of the Information Revolution before it becomes too late.